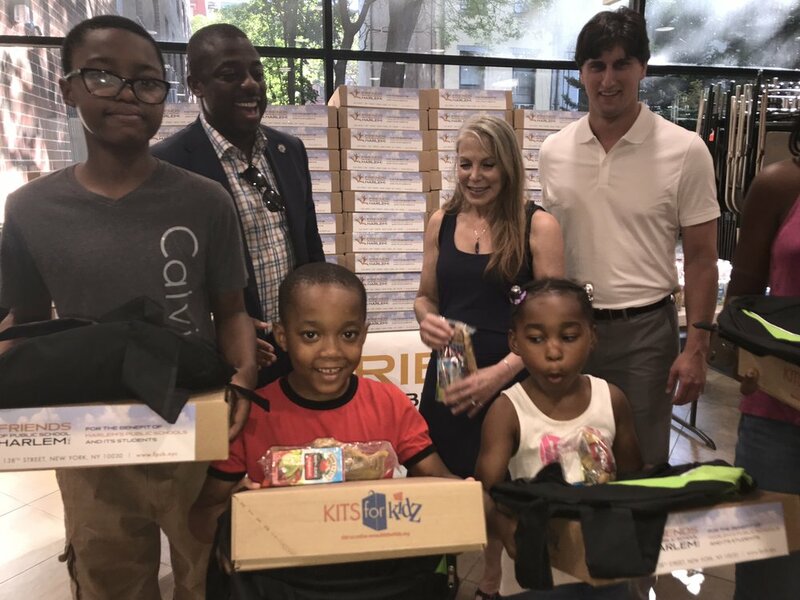 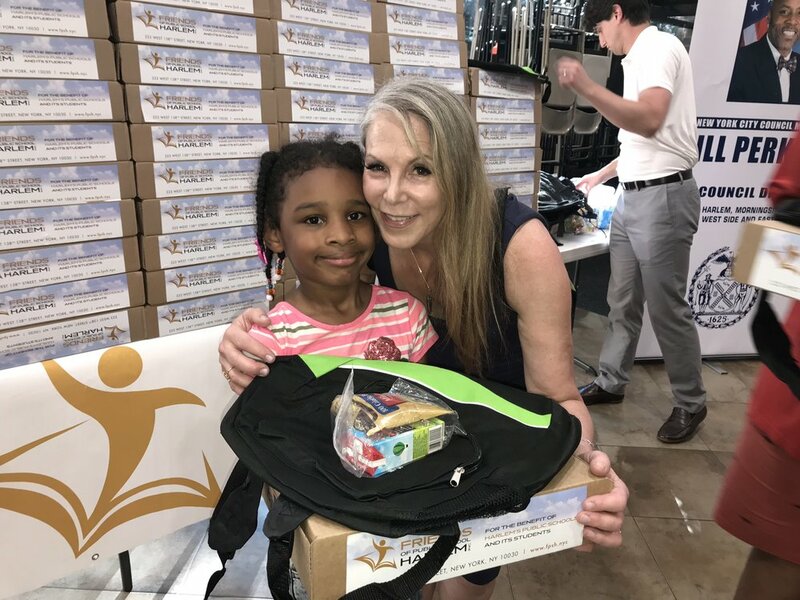 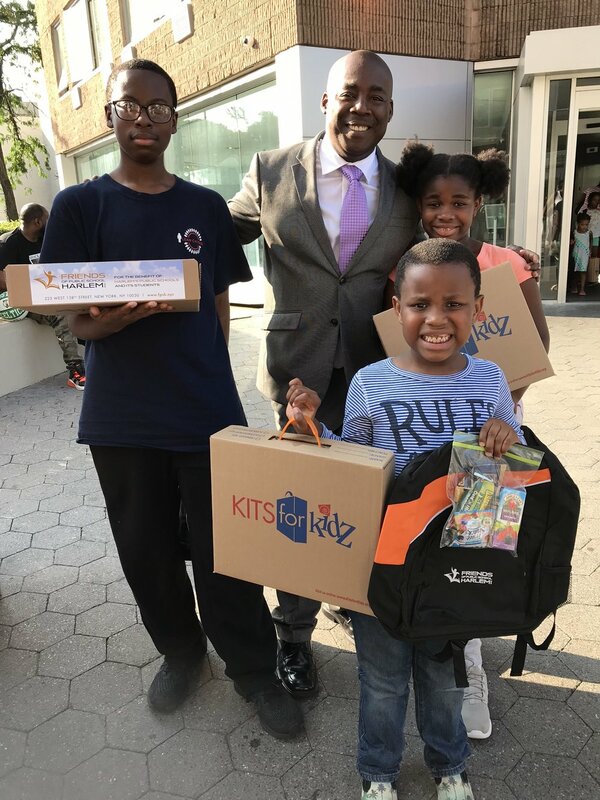 The need for school supplies continues in our community, and so do our efforts to provide Kits for Kidz to those in need. 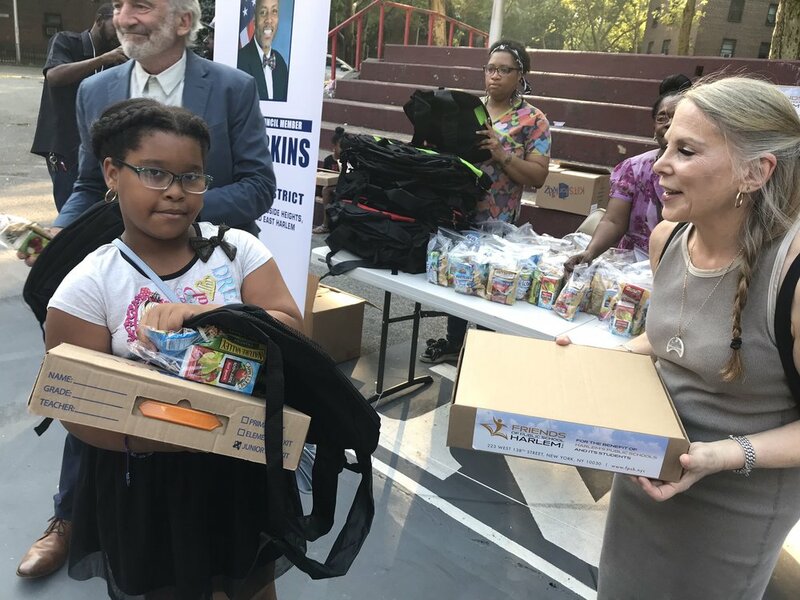 Most recently, we visited Community School District 5. 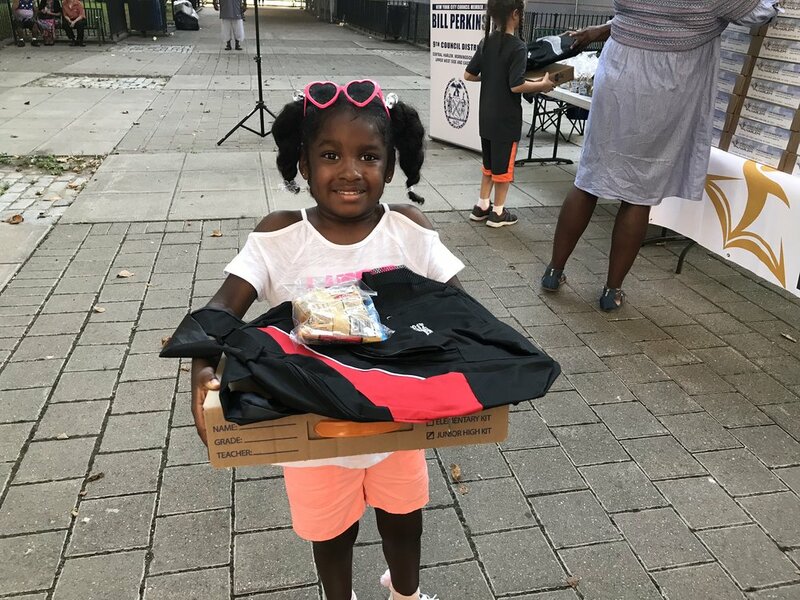 WE'RE PLEASED TO ANNOUNCE THAT THE BACK-TO-SCHOOL EVENTS HAVE BEEN A GREAT SUCCESS! 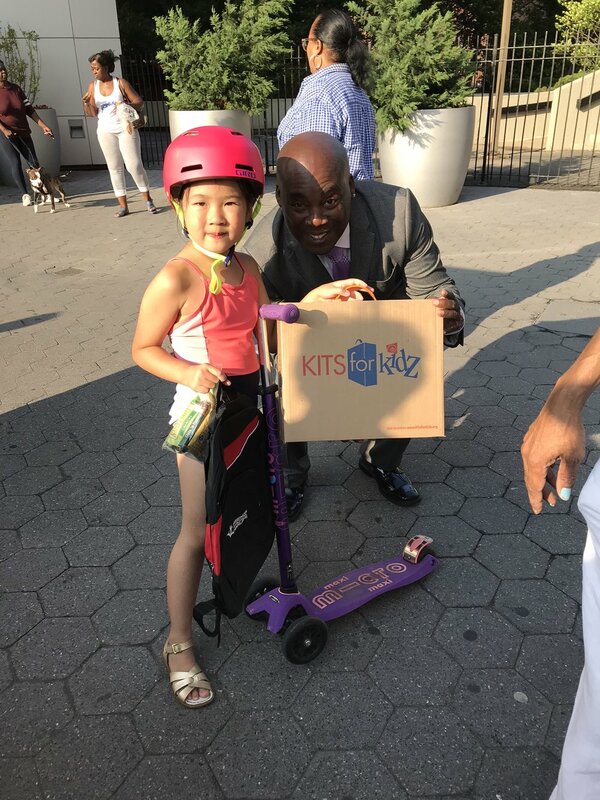 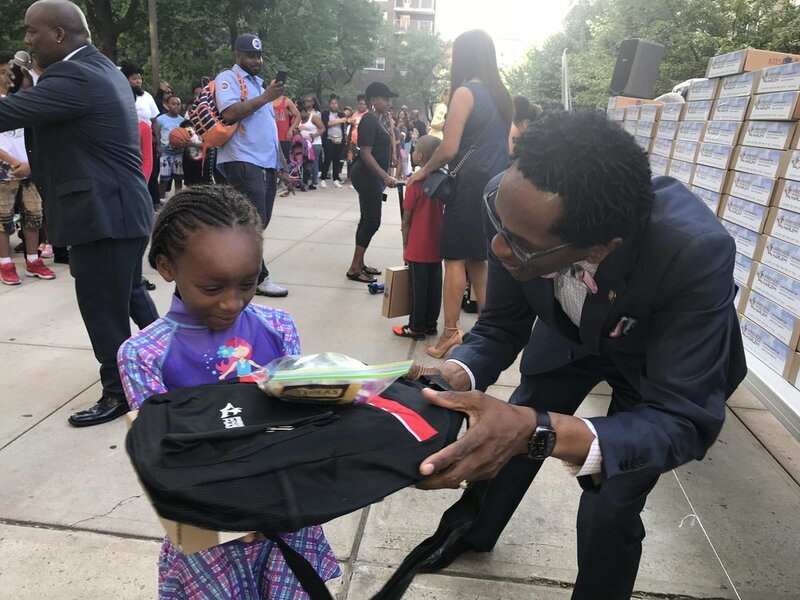 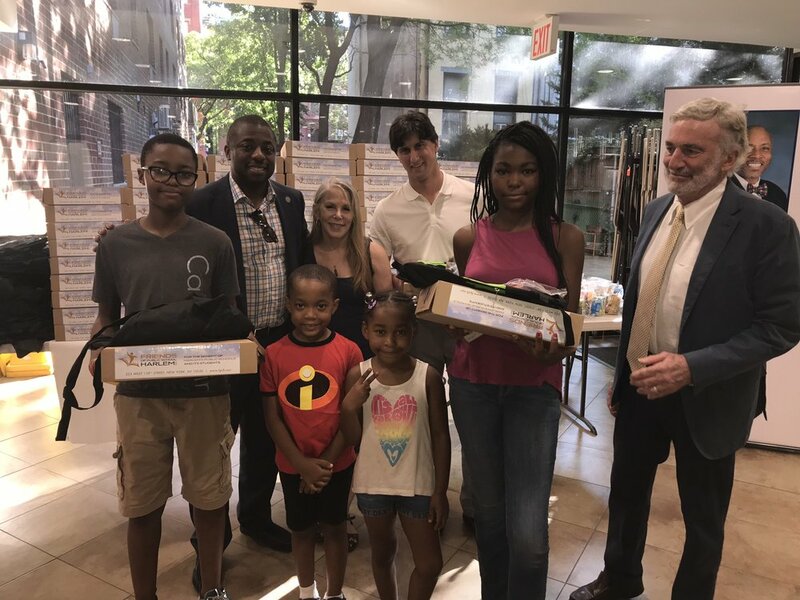 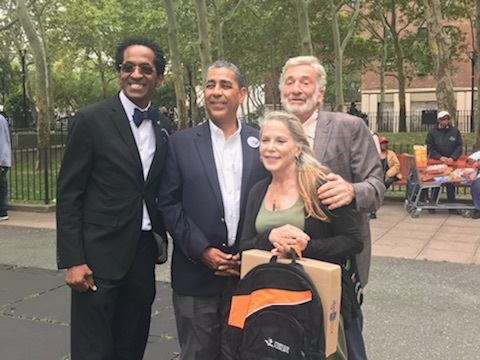 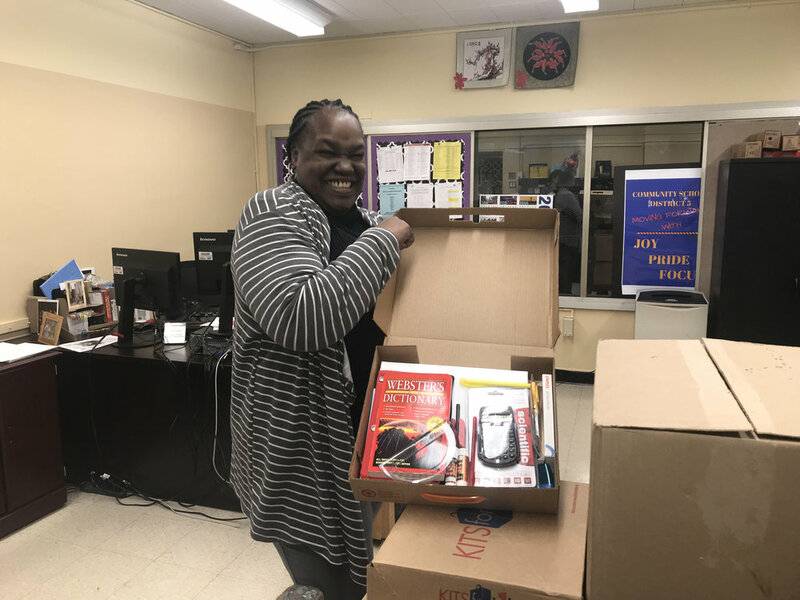 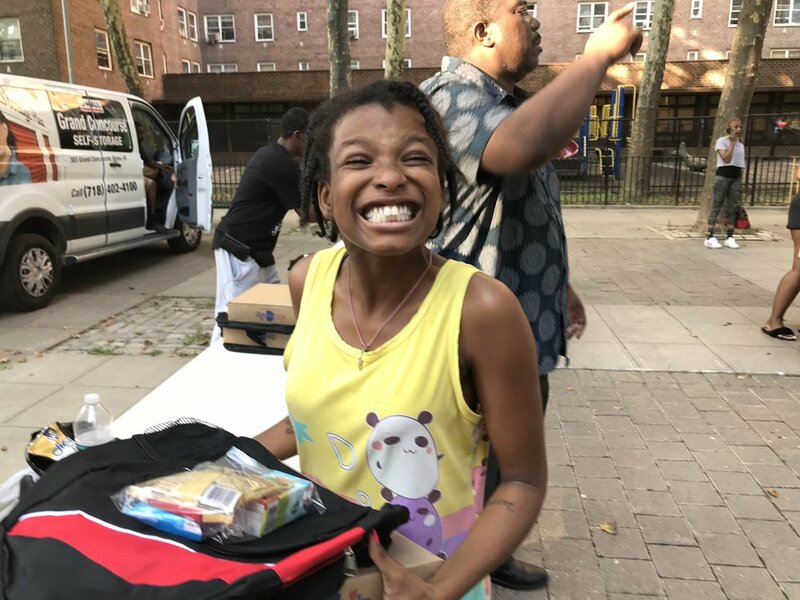 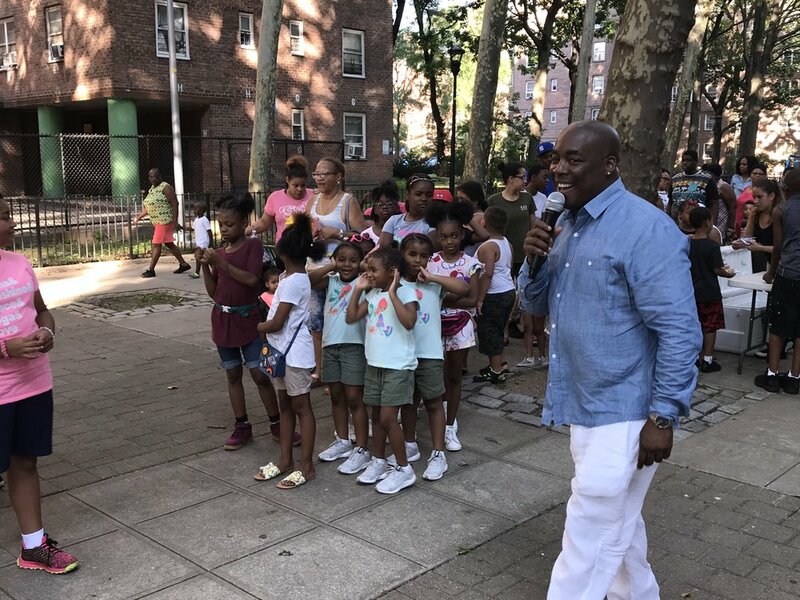 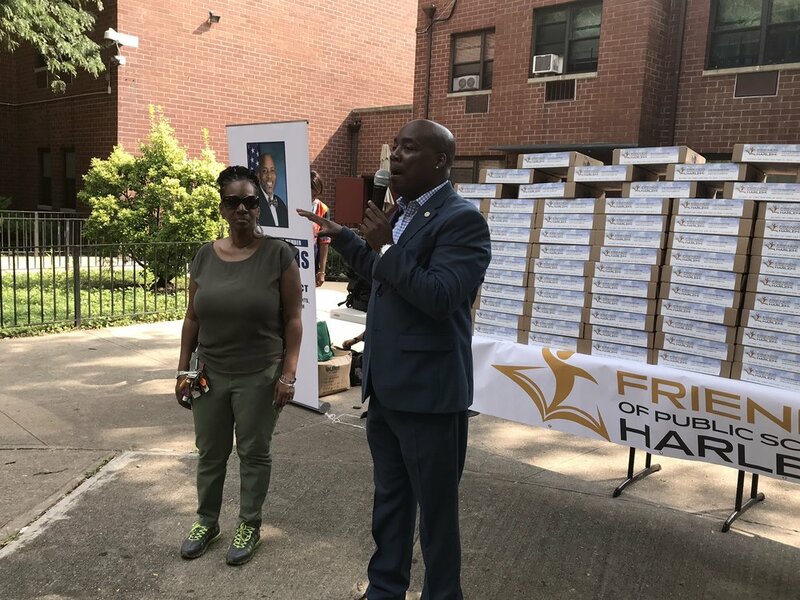 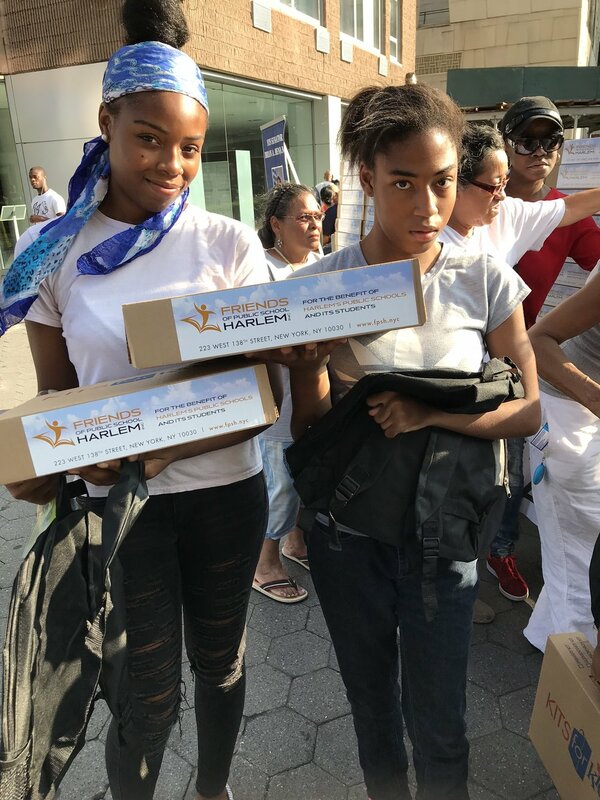 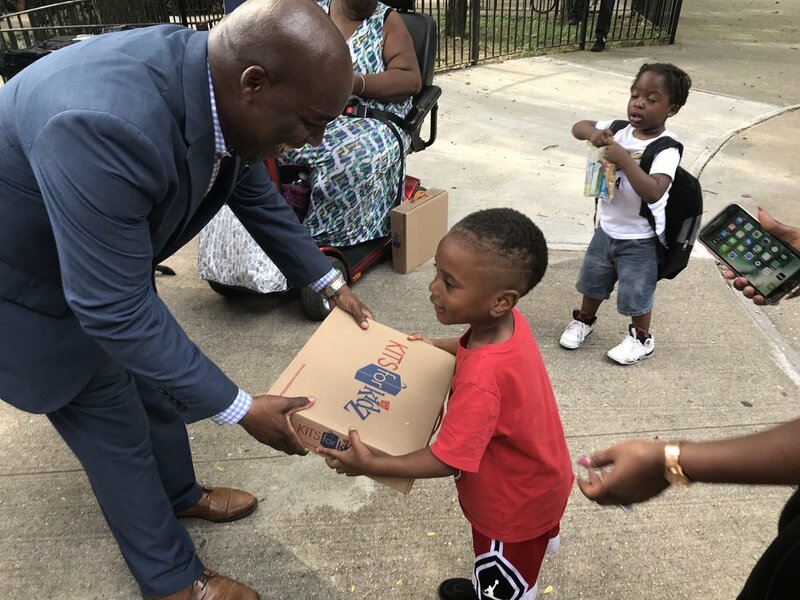 We've given away over 3,000 backpacks and school supply kits to Harlem public school students. 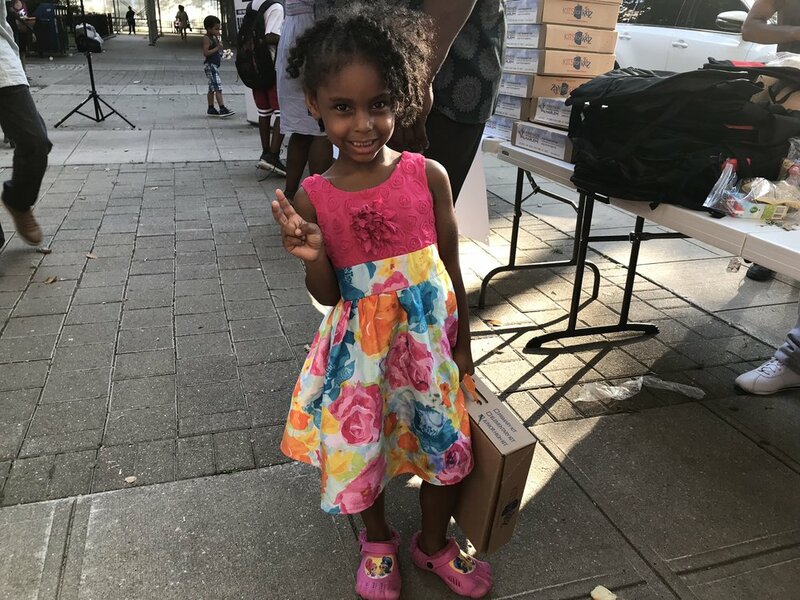 Take a look at the photos below and see why we love these events as much as the kids (and their parents) do!